Where Pigs Fly Farm Sanctuary was founded in 2014 to combat the abuses of animal agriculture and encourage a new awareness and understanding about farmed animals. 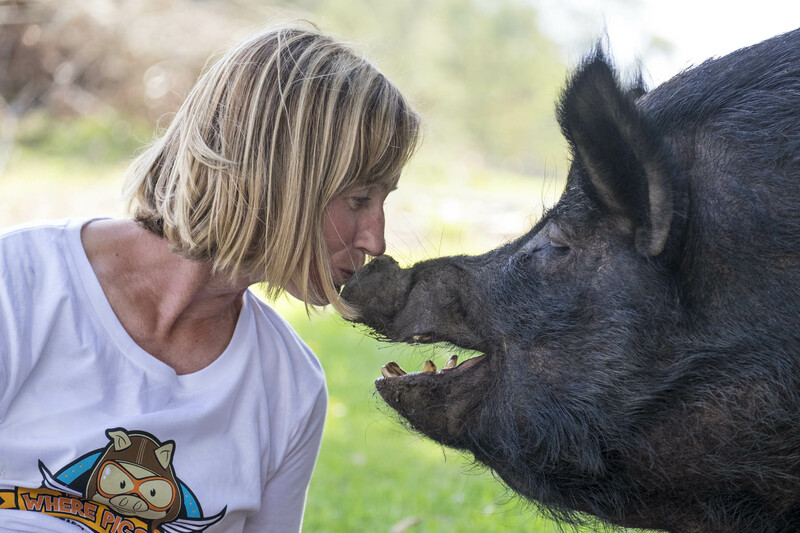 We have rescued hundreds of farmed animals and cared for them at our sanctuary in Sydney, Australia. At Where Pigs Fly Farm Sanctuary, these animals are our friends, not our food. We educate thousands of people about their plight and the effects of animal agriculture on our health and environment. Where Pigs Fly Farm Sanctuary is committed to ending cruelty to farmed animals and promoting compassionate vegan living through rescue, education, and advocacy efforts. Please join us. A compassionate world begins with you! A world in which humans embrace a vegan ethic and practice compassion and respect for all species. To protect farmed animals from cruelty and abuse, to inspire change in the way society views and treats farmed animals and to promote compassionate vegan living. The majority of farmed animals in this country, and worldwide, are stuck in the horrific farming system that exists today. Rather than repeatedly saying “someone should do something” we decided we should do something. We saw that the farm sanctuary movement was growing and was increasingly effective in educating and influencing the broader community towards a compassionate, vegan lifestyle. We decided to be a part of that and took the big leap. The sanctuary movement represents to us the potential to recreate a positive paradigm for our relationship with animals. Farm animal sanctuaries such as Where Pigs Fly gives us the platform to show people “this is how it could be”. Farmed animals living in peace, free from harm and suffering. Worldwide, we are in an increasing wave of social consciousness surrounding animal rights. We hope to play a small part in making that wave bigger with all you good people out there. For the animals.